T1042r is rated 5.0 out of 5 by 8. Rated 5 out of 5 by STam from Functional, dependable, versatile, GREAT optics I purchased these for multiple reasons 1) First and foremost, for work. I'm a licensed first responder and procured these as a replacement for a previous pair of 20+ yr old Steiners damaged in a training exercise. The size, weight and handling are an improvement over my previous pair. I'm enjoying the 10x and the grid as I need to frequently judge distance . 2) Also utilize these for competitive shooting. They are crystal clear in all conditions. They're a must have in my range bag on every trip. Lots of complements on them at meets. Finally, 3) I just started using these on my upland bird hunting trips. Only had them long enough for the past season but the optics on these are super in all weather and light conditions and I'm out early, using them at first light on the foggiest, raining days! Reliable, great ergonomics, design, features and quality from Steiner! 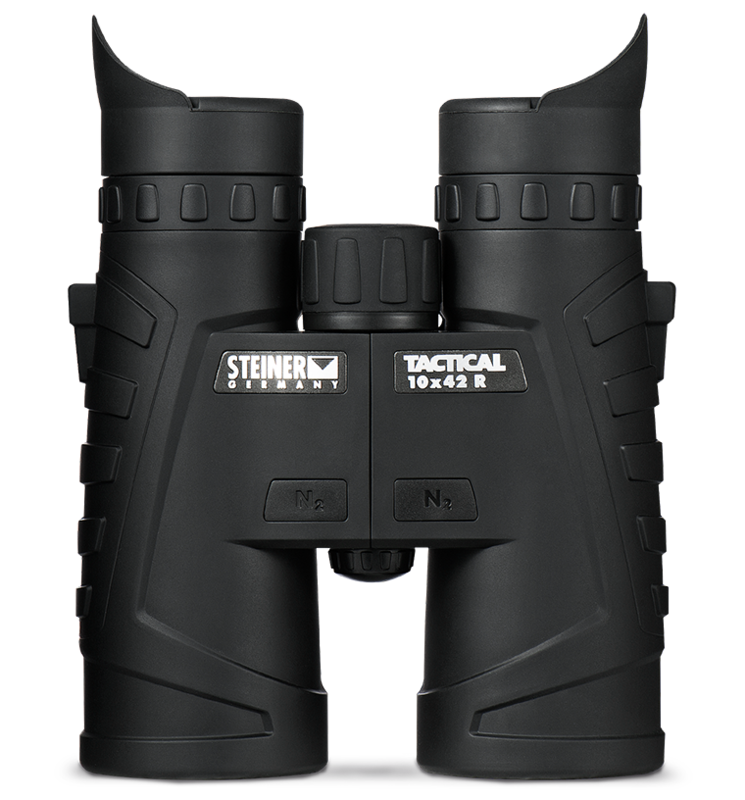 Rated 5 out of 5 by Howard from T1042 R Review I was looking to upgrade my binocs with these steiner binoculars. They look really durable and not huge. This is my first Steiner product purchased, and I'm real happy with the quality of the glass. The picture is awesome/crisp! DSG Arms had a real good price. I called them several times with questions about the binocs, and the staff I talked to was real knowlagable. The SUMR radical is in the right eye piece. The radical is real clear but not obtrusive with the field of view. Rated 5 out of 5 by SGMPhil from Awesome Binos and Excellent Support I purchased these for working on the ocean on military missions. The quality is excellent, and the optics are crystal clear. They are well built and perform well under harsh conditions. I would definitely recommend these to friends and others. Rated 5 out of 5 by JacksNacks from Great bino’s - need an ARD These are a fantastic set of bino’s and excellent value for German glass. The only disappointment is that Steiner do not offer an ARD (anti-reflective device) for this model which is unusual given the “tactical” purpose of these. Rated 5 out of 5 by No Nickname from Perfect for watching football. I received these for a Christmas gift. We have season tickets to the Texas A&M games, and these new binoculars will provide a much better view of the game. Is this reticle first or second focal plane? The reticle is technically located in the second focal plane. Excellent set of binoculars. Been using for a month or so and love them. Where is the glass made? Is this US made? German made? I'm working on a YouTube review as we speak and would like to include this information. The Schott glass is ground and polished in the original Steiner manufacturing facility in Bayreuth, Germany. I live in Oslo Norway. Where can I bye these binoculars in shop? Alternatively, what is the best on-line adresse for me? What Is the difference between the 1042 and 1042r? The T1042r features the SUMR targeting reticle system, for a small, light binocular in a power to match newer 10x rifle scopes. The T1042 does not have this reticle. What kind of glass Steiner used for that binoculars? ED glass or regular glass? Reticle can be rotated to put in vertical position no matter interpupillary distance is? Thanks. High Definition glass. The reticle does NOT rotate. The change is very slight. I have some T1042 binos. Is it possible to have them converted to the T1042R model with the reticle? Unfortunately we do not offer a service like that. Love these binoculars. I've had them for just a few weeks. Is there an anti reflective device available? I cannot seem to find one. Thanks. I do not know of any, but you could try Sun Guard.